Class of 1993: Save the Date for Your 25 Year Reunion! 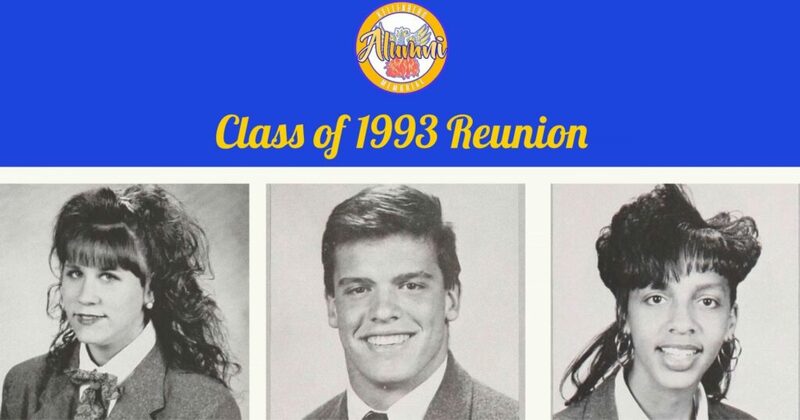 All members of Kellenberg Memorial’s class of 1993 are invited to return to campus on Saturday, October 27, 2018, to celebrate their 25 Year Reunion. Whether you return frequently for alumni events or haven’t been back since graduation, we would love to see you! Come catch up with old teachers and classmates, see all the facility enhancements around campus, and, of course, try to find your old locker. The evening will begin with Mass at 6 PM, followed by a private cocktail party for the class of 1993 from 7 to 10 PM. Please note that online registration closes on Thursday, October 25th at 12PM. Walk-ins welcome with cash only, please. We are pleased to continue the tradition of a class gift that has been established by alumni which allows each class to donate funds to the Kellenberg Memorial High School Shepherd’s Fund. The Shepherd’s Fund helps to provide for many of the expansions and renovations at Kellenberg Memorial, such as the iPad infrastructure for all technology and a complete renovation of the gymnasium. If you aren’t able to join us for your reunion, but would still like to contribute to your class gift please click here.